Multi-Factor Authentication. It’s a bit of a mouthful isn’t it? Do you know what it is? The clue really is in the name – Multi-Factor Authentication (MFA) is a method of confirming a computer, device, website or application user’s claimed identity. 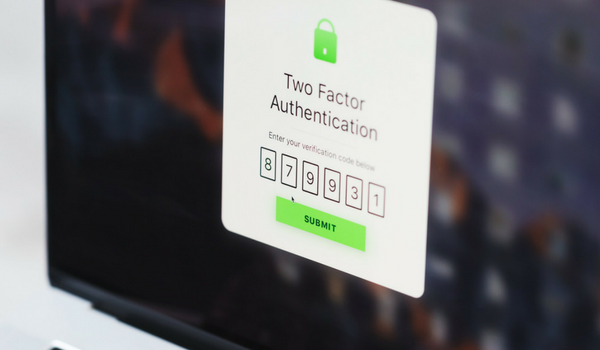 The user is only granted access after successfully presenting two or more pieces of evidence (factors) to an authentication mechanism. A randomly generated pass code. A phone call or text message. You’re certainly familiar with having to remember particular answers when prompted by security questions – the first street you lived on, your first pet’s name, your mother’s maiden name – this is one form of MFA. Another example of MFA is when banking websites require you to enter a special code sent via text message in order to verify that you are who you say you are. We know we don’t have to tell you that today the world has more data being exchanged between devices than ever before. This is why it’s more important than ever to protect your data against hackers. MFA really is the key to strong security. We recommend Microsoft’s MFA because it provides powerful security that most businesses aren’t even aware of. Microsoft’s Multi-Factor Authentication essentially reduces the risk of a hacking incident of other form of cybercrime, by adding layers of authentication on a large range of Office 365 applications so that it can’t be accessed without it first being authenticated. Why should you use MFA? Because it is one of the most effective controls an organisation can implement to prevent hacking. Because simple passwords just aren’t enough. According to the 2017 Verizon Data Breach Investigations Report, four out of every five data breaches during 2017 involved compromised credentials. Because the minor interruption users have to contend with by taking the time to do multiple authentications far outweighs the potential risk of unsecured data – particularly for businesses. Because data breaches could be harmful or detrimental to your business – particularly with the legal, finance, government, property, accounting and medical sectors handling such large amounts of sensitive personal information every day. Because you have a duty to protect your company data, your staff and the data belonging to your clients. Because all businesses can be affected by breaches – last thing you want is for your business plans, reports or financial records to be accessed! Because not using MFA is akin to leaving your house unlocked. It’s important to note that when implementing MFA, it is essential that it is done so correctly to minimise security vulnerabilities and to avoid a false sense of security that could leave a network vulnerable. Speak to the team at centreRED today to find out more about Multi-Factor Authentication, how it is managed for Office 365 and how we can assist with making your data more secure.